Since qualifying as a Dental Technician in 1993, Mark has been driven to provide patients with the highest standard of dentures possible. 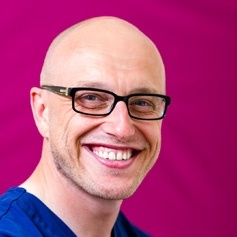 In Mark’s opinion, the impact that a comfortable, individually crafted set of dentures can have on someone’s life is immeasurable; it was for that reason in 2011 he qualified as one of the first group of UK trained Clinical Dental Technicians at the Royal College of Surgeons, allowing him to work directly with patients who require dentures. Mark has extensive experience working with oral surgeons and dentists with denture stabilisation and is Straumann registered. As a General Dental Council registered Clinical Dental Technician, Mark is able to offer patients consultations to discuss their denture requirements taking into account their needs and wants, which he then turns into a reality by utilising his many years of working with dentures. At The Campbell Clinic, we specialise in creating beautiful, natural dentures that are tailored to the patients’ individual needs. Mark is also a digital specialist and is heavily involved in CEREC (Digital technology) the unique CAD (computer aided design) / CAM (computer aided milling) system. Mark is passionate about digital dentistry and the emerging benefits to dentistry it can bring. Mark is married with two daughters and lives in Nottingham.